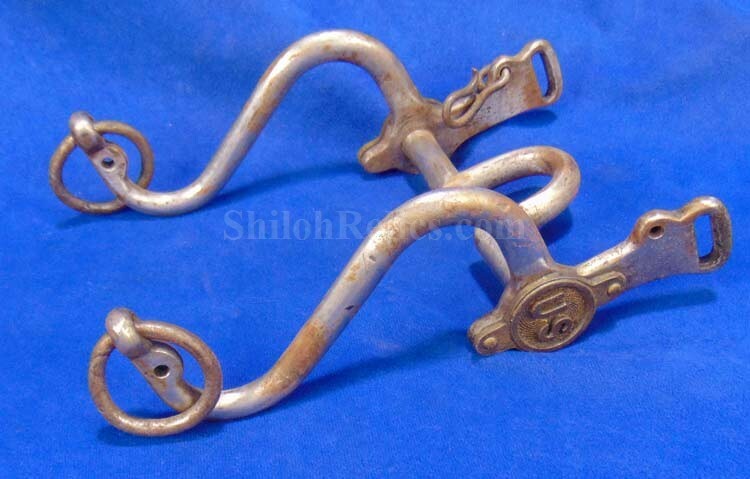 This is a fine looking authentic Civil War horse bridle bit. 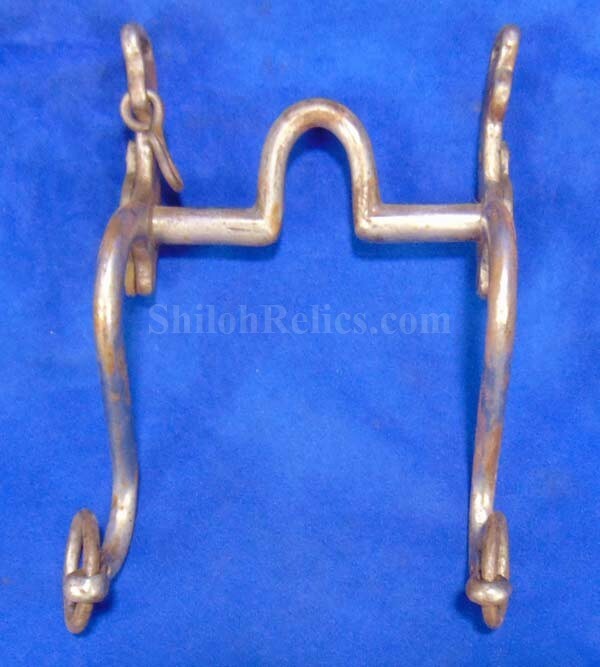 This is the classic style that was used on horses throughout the Civil War. 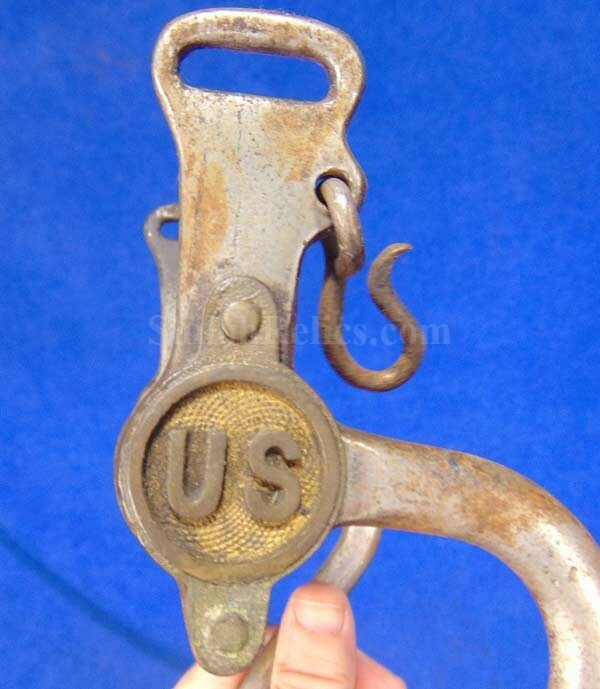 It is officially known as the US model 1859 Curb Bit. This is the pattern that is illustrated on page 380 of the book by Dorsey and McPheeters entitled The American Military Saddle, 1776-1945. 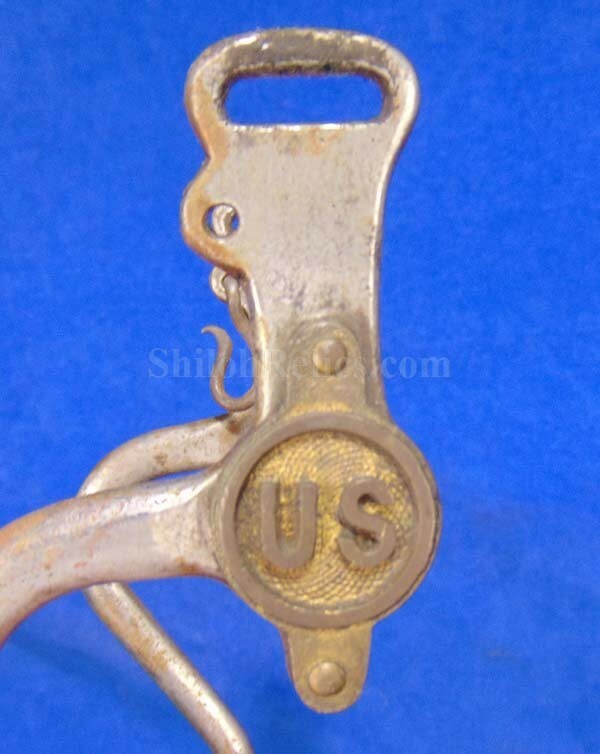 They show that this is the correct style that was made from about 1863 until 1865. This one is a fine non-excavated one. It is complete except for the front bar that appears to have been gone for eons. The metal is in fine shape with a gray tone all over. 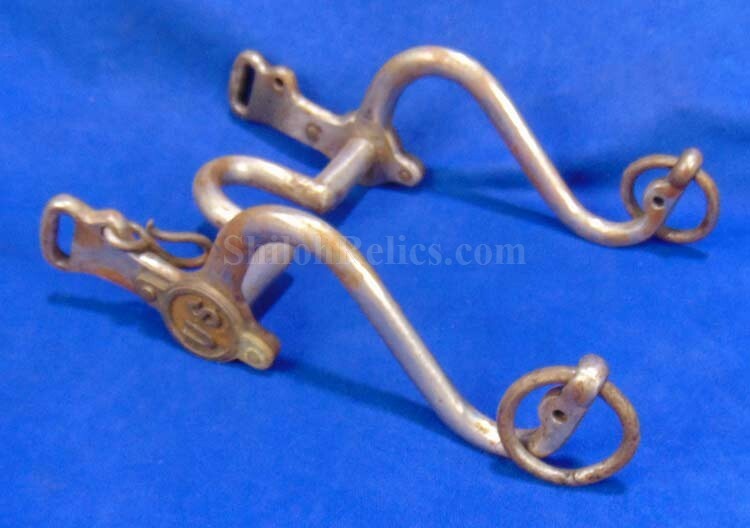 It has both of the original cast brass "US” rosettes intact on the side and they have a beautiful patina. 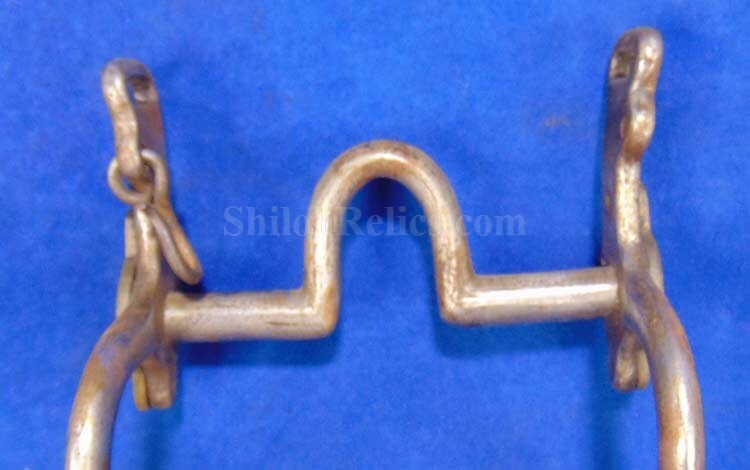 The original rings are intact on the front of the bit. This is the version that has the high size port. Every Civil War display needs to have one of these included. 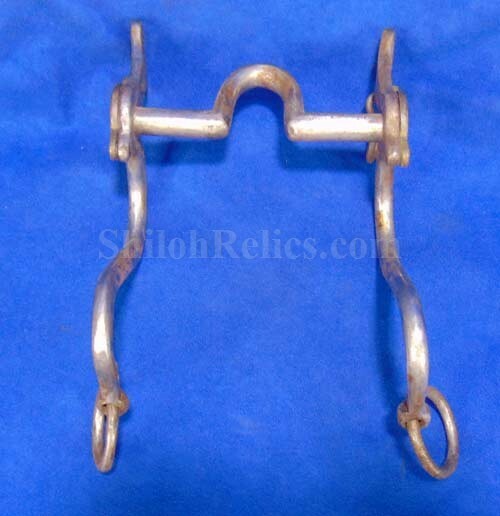 This is a great displaying excavated Civil War bridle bit that is nice enough for any collector.